Abhay Deol said, "From our side, you can be sure. 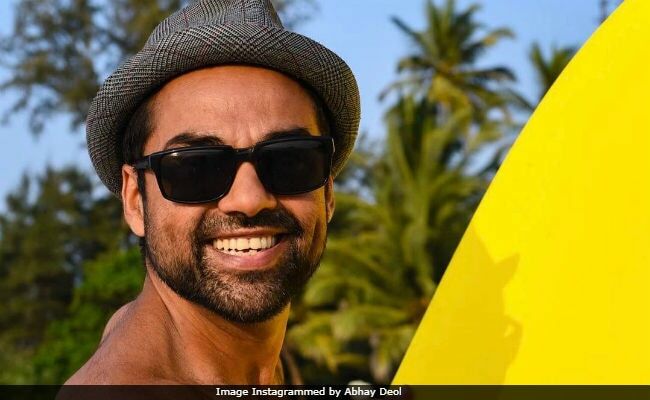 We all are ready to do the film, but now Zoya has to say yes"
Actor Abhay Deol, who played one of the three prominent characters, in Zoya Akhtar's 2011 film Zindagi Na Milegi Dobara has dropped a major hint about the possible sequel of the film. Abhay has revealed that the lead star cast, including him, Hrithik Roshan and Farhan Akhtar, is ready for the next film in the series if the director says yes, reported news agency IANS. The 42-year-old actor told IANS, "From our side, you can be sure. We all are ready to do the film, but now Zoya has to say that 'Yes, I have the mood to write something for it'. Hrithik tells her that, Farhan is also happy about it and even I tell her that, but Zoya obviously has to get free and have a story that she wants to tell." Zindagi Na Milegi Dobara was released in 2011 and also featured Katrina Kaif and Kalki Koechlin. Zindagi Na Milegi Dobara chronicled the journey of three friends (Hrithik, Abhay and Farhan), who set off on Abhay's bachelor trip. As part of which, each friend chooses a dangerous sport for the group to participate. Speaking about the film's sequel, Abhay told IANS, "Talks have been there since the last film released (in 2011). I hope that Zoya will make sequel of it." Zoya Akhtar is currently busy shooting for her forthcoming project Gully Boy with Ranveer Singh and Alia Bhatt. Abhay Deol is nephew of veteran actor Dharmendra and cousin to actors Sunny Deol, Bobby Deol and Esha Deol. He started his career in Bollywood with Imtiaz Ali's Socha Na Tha and went on to feature in some critically acclaimed films such as Oye Lucky! Lucky Oye! and Dev.D. As of yet, Abhay hasn't worked with either his uncle or cousins but he doesn't rule out the prospects of it in future. Speaking about which he told IANS, "I would love to work with my family. It just that I am picky about my own work and tomorrow if people approached me for a film with my family, then I will be going through that script even more diligently than my own script because I want it to be that much perfect." He further said, "So yes, one day, when the right script comes along... But my one apprehension is that I wouldn't know how to be anybody else other than who I am around my brothers (Sunny and Bobby Deol) and Taaya (Dharmendra). It is so difficult for me to imagine acting like someone else. I don't know if I will be able to that. Suppose in a scene, I have to be rude with Pappa (Dharmendra). He is my Taaya, but we call him Pappa as we are in joint family and we have grown up with that, so I don't know if I will have that courage to perform in front of him. So that's my own personal fear, but other than that if there is script that's good for us to do then, I am sure I would do it." The Dev D star was speaking to media at the sidelines of a media event, where he also revealed that he's looking forward to his cameo in Aanand L Rai's upcoming film Zero opposite Katrina Kaif. Abhay and Katrina have previously worked together in Zindagi Na Milegi Dobara. Speaking of his cameo appearance, Abhay told news agency PTI, "I have a cameo in Zero, it's very brief, I didn't have much to do, I did have a scene with Shah Rukh and of course Katrina. I don't think I can say much about it now. It was nice to see her again after Zindagi Na Milegi Dobara." Zero also stars Shah Rukh Khan and Anushka Sharma and is slated to release in December 2018.